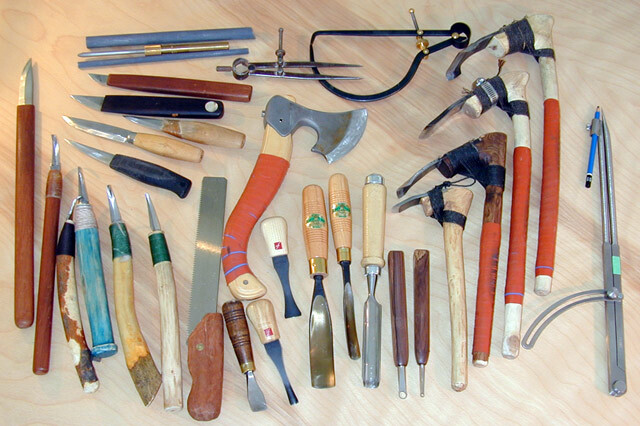 Some tools are available locally or at Lee Valley tools, gouges, chisels, straight blades (Frost). Some tools I have made with Rick, all of the adzes, a few crooked knives and straight blades. Preferred Edge makes great crooked knives, they just changed hands. Don’t know if they are in production mode yet. Enough drooling now, get back to work!